Frank Vignola is one of the most extraordinary guitarists performing before the public today. His stunning virtuosity has made him the guitarist of choice for many of the world’s top musicians, including Donald Fagen, Wynton Marsalis, Tommy Emmanuel, the Boston Pops, and guitar legend Les Paul, who named Vignola to his “Five Most Admired Guitarists List” for the Wall Street Journal. Vignola’s jaw dropping technique explains why the New York Times deemed him “one of the brightest stars of the guitar”. Vignola recently resumed performing and touring after a near-fatal accident during 2017, when his ATV crashed into a tree. He has performed at two Pittsfield CityJazz Festivals, to great critical and popular acclaim. 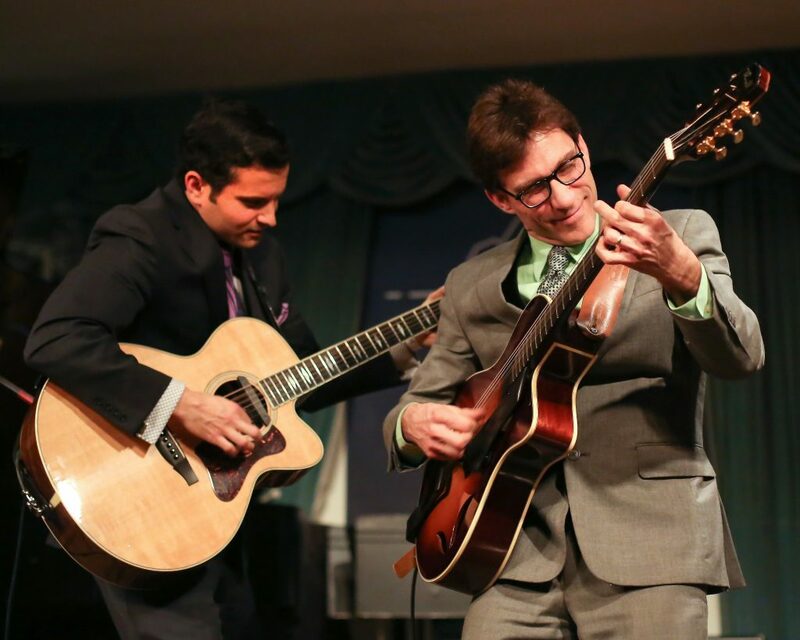 His trio includes co-guitarist Vinny Raniolo and bassist Elias Bailey.